The California Department of Water Resources has announced the release of Draft Funding Recommendations for the Proposition 84 (Safe Drinking Water, Water Quality and Supply, Flood Control, River and Coastal Protection Bond Act of 2006) Round 2 Implementation Grant Program. Included in these recommendations are six Sonoma County integrated water management projects totaling approximately $2.9 million. The following three Sonoma County projects are part of the Bay Area Integrated Regional Water Management Plan, which received a total of $20 million for 19 Bay Area projects. Learn more about the Bay Area Integrated Regional Water Management Plan at www.bairwmp.org. The Bay Area Water Conservation Program will leverage and expand the implementation of existing water conservation education and consumer incentive programs and build on regional water conservation initiatives. Specifically, the Water Agency will receive funding to offer residential and commercial customers with rebates to remove turf along with a rebate program to install smart irrigation controllers. This collaborative effort will also include a series of short educational videos on landscape and irrigation maintenance and repair for home gardeners and commercial customers. 1) Increase hydraulic capacity within channelized creek section between North McDowell Boulevard and Maria Drive. Using a HEC-RAS analysis and preliminary cross-sections, the City was able to achieve the highest possible reduction of out-of-bank flooding during a 100-year storm event through the creation of a mid-line flood terrace. 2) Create sediment and debris removal basin, included in the preliminary design just upstream of N. McDowell Boulevard, to facilitate routine maintenance and emergency flood response to debris blockages. 3) Revegetation and Habitat Enhancement is expected to follow grading activities for the flood terrace, including placement of trees and native shrubs along the south bank of the newly recontoured creek section. This growth will facilitate shading of the low flow and flood terrace and provide habitat for birds and riparian mammals and other species. Installed plants will be irrigated for three years and monitored for survival. 4) Stewardship through education and outreach into neighboring residential areas, supported by two ‘clean-up’ days per year. The Sonoma Valley Recycled Water Project, a sub-project of North Bay Water Reuse Program, involves extending existing recycled water pipelines from the Sonoma Valley County Sanitation District’s Wastewater Treatment Plant to deliver recycled water to increased numbers of users. The Sonoma Valley County Sanitation District proposes to design and install new recycled water pipelines to expand its recycled water service area north and west of its Wastewater Treatment Plant. The purpose of the project is to provide high quality recycled water for agricultural, urban, and environmental uses and to expand the recycled water system throughout the greater North San Pablo Bay Area. The new pipelines will branch off the existing North Bay Water Reuse Program Phase 1 pipeline at two places: 5th Street East and McGill Road. These new recycled water pipelines will provide multiple benefits: 1) offset potable water currently used for landscape irrigation; 2) offset groundwater and surface water diversions used for agricultural purposes; 3) reduce the amount of treated effluent releases to North San Pablo Bay and its tributaries, such as those in the Sonoma Creek watershed. The North Bay Water Reuse Authority, a group of seven local water agencies, undertook cooperative, regional planning efforts to develop the North Bay Water Reuse Program. The purpose of the North Bay Water Reuse Program is to provide high quality recycled water for agricultural, urban, and environmental uses, and to expand the recycled water system throughout the greater North San Pablo Bay Area. The following three Sonoma County projects are part of the North Coast Integrated Regional Water Management Plan, which received $5.3 million for 13 North Coast projects. Learn more about the North Coast Integrated Regional Water Management Plan at www.northcoastirwmp.net. The Gold Ridge Coastal Watersheds Enhancement Project integrates a variety of strategies to restore instream habitat and enhance stream flows for salmonids and other aquatic organisms, while allowing the district’s rural communities to adapt their water management strategies to the uncertainties of a changing climate. The project will expand the Gold Ridge Resource Conservation District’s Phase I efforts in the Bodega Bay HU to include Green Valley and Dutch Bill Creek watersheds, priorities of the Russian River Coho Salmon Keystone Initiative. Project strategies combine large-scale water conservation with instream habitat improvements and sediment source management along key salmonid-bearing stream reaches. The Gualala River Watershed Council will implement a sediment source reduction project on high and medium priority road networks In the Lower Rockpile basin in the Gualala River Watershed. This project will treat 85 sediment source sites on 12.3 miles of road and will prevent 25,751 cubic yards of sediment from entering the Gualala River watercourses and the Gualala River estuary. Approximately 1 mile of road will be decommissioned and 11 miles of road will be storm proofed, enhancing salmonid habitat and increasing voluntary TMDL attainment from 16.5% to 17.4% within the Gualala River Watershed. The Fish Friendly Farming (FFF) and Fish Friendly Ranching (FFR) Environmental Certification Programs work to increase the environmental values and functions on agricultural and grazing lands while sustaining economic viability. 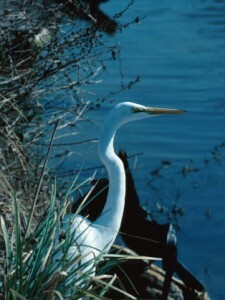 The FFF/FFR program implements water quality improvements, including comprehensive sediment source control, road and gully repair, water conservation and water use efficiency, enhancement of riparian corridors through removal of invasive species and revegetation, and widening of riparian corridors. This proposal would provide program implementation funds for 20,000 acres of agricultural and grazing lands in the Russian, Gualala and Navarro River watersheds with a focus on lands in disadvantaged communities. The Sonoma County Water Agency is working to secure our future by investing in our water resources, community and environment. The Water Agency provides water supply, flood protection and sanitation services for portions of Sonoma and Marin counties. Visit us on the Web at www.sonomacountywater.org.